This year has seen the birth of many bezel-less smartphones like the UMIDIGI Crystal, Doogee Mix, Samsung Galaxy S8, Samsung Galaxy Note 8, Bluboo S1 and many more. In fact, it’s becoming a normalcy as many more smartphone manufacturers are now adopting the trend. 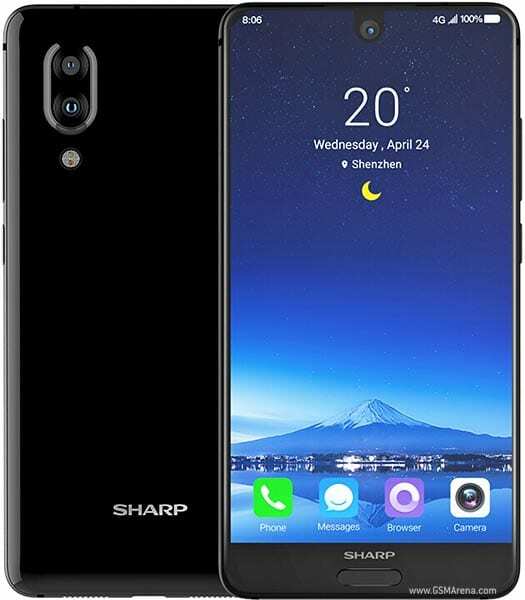 Joining the bezel-less trend is the Aquos S2 from SHARP. Looking at this device, one would notice ot shares an amount of similarities with about two or three devices. The full view screen resembles that of Essential phones while the rear (back), particularly the placement of the dual rear camera resembles that of several renders of the iPhone 8. All in all, the device comes pretty sleek and handy. The Sharp Aquos S2 has a dimension of 141.8 x 72 x 7.9 mm and weighs 140 grams. Very lightweight. About 90 % of the device frontal is covered by the display while beneath it is the home button which is also the fingerprint sensor. At the top of the display, the secondary camera is placed at the middle. While the device resonates a pretty decent aesthetic, one must however be careful in its handling. A phone case and a glass screen protector is advised. The Sharp Aquos S2 comes with a 5.5 inch In-Plane Switching LCD capacitive touchscreen. The display is of pretty high quality as it has a display resolution of 1080 x 2040 pixels and an equally high pixel density of 420 ppi. Being a full-view display device, it comes with Corning Gorilla Glass protection to protect the phone against shattering and easy breakage. A powerful and fast 2.2 GHz Octa core Cortex A53 processor runs on Qualcomm Snapdragon 630 chipset. The device also handles all phone operations with ease and without lagging or getting hot as it houses a large 4 GB RAM and Android v.7.1.1 Nougat OS. The built-in storage is pegged at 64 GB and can be expanded up to 256 GB using the second SIM card slot. There’s also a second variant of the Sharp Aquos S2 that comes with 6 GB of RAM and 128 GB of ROM. As earlier mentioned, the rear camera is a dual camera set-up. The lenses are made of a main 12 MP snapper and an assisting 8 MP lens. There is also a LED flash placed beneath the two lenses. The front camera is an 8 MP camera in charge of selfie duties and video calls and chats. The Sharp Aquos S2 comes out of the box with a non-removable 3,020 mAh battery. The battery charges relatively faster as the device comes with the Quick Charge version 3.0.